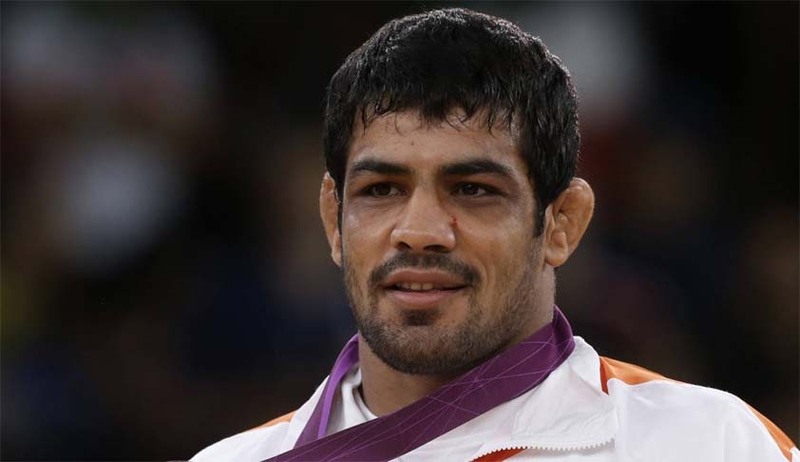 Delhi High Court Today has dismissed a Writ Petition filed by Olympic medalist Sushil Kumar challenging the selection of Narsingh Pancham Yadav by Wrestling Federation of India (WFI) for the 74 kg Men's Freestyle Wrestling event at the Rio Olympics Games 2016 commencing 5th August, 2016. The Court also dismissed Sushil’s prayer to direct WFI to conduct a selection trial, holding that it is untenable in law as well as contrary to facts. Sources close to Sushil Kumar has reportedly told PTI that "We will try our best. We would be speaking to the Wrestling Federation of India (WFI) once again and urge it to hold a selection trial. But if that doesn't work, we may approach the Supreme Court, as Sushil is the best bet in 74kg category and he must get a chance to show that he is not only capable of going to the Olympics but also winning nothing less than a gold medal there,"
The petitioner is a legendary wrestler who has won a number of laurels for this country in the 66 kg weight category. It is unfortunate that the said category was abolished in January 2014 and the petitioner has been forced to play in 74 kg weight category. 59. On consistent current form, the opinion of respondent -WFI that Narsingh Pancham Yadav is better is not unreasonable or perverse. It is pertinent to mention that the petitioner has not won any major national or international tournament between September, 2014 and today, whereas Yadav as recently as in December, 2015, in the Pro Wrestling League defeated even the silver medallist in the World Championship September 2015 Purevjav Unurbat of Mongolia. The petitioner being a professional wrestler himself would know that any direction to hold a trial at this stage would seriously jeopardise the chance of India winning a medal in the Olympics inasmuch as Mr.Yadav would have to halt his training midway and would have to lose his weight earlier than scheduled. The high probability of an injury in a trial cannot be 'lost sight of'. This Court is also of the view that the petitioner having failed to take part in selection trials in the years 2014 and 2015 as well as in the National Championship in 31st December, 2015 and 1st January, 2016 and the Asian Championship held in February 2016 cannot now seek a trial at this belated stage. The Indian Coach's opinion (as mentioned in the counter-affidavit), the track record of Mr.Yadav in the last few years and the chance of an injury if a trial is directed to be held with less than two months to go to the Olympics, leaves this Court in no doubt that no relief can be granted to the petitioner in the present proceedings. All the Counsel appeared in the Case agreed that a false affidavit has been filed in the present proceedings by Vice President of Wrestling Federation of India,Mr.Raj Singh . Thus the Court has also directed the Registry to issue notice without process fee to Mr. Raj Singh, under Section 340 Cr.P.C. read with Section 195 IPC directing him to file a response within six weeks. "In international arena of sports, medals are won not only by „brawn‟ but also by „brain‟. The last minute challenge to selection can disturb the mental preparation of the selected. Consequently, a sportsperson innocently asking for „just a trial‟ may be jeopardizing the chances of the selected candidate to win, having disastrous consequences for national interest. In the duel asked for, the country will be the loser".